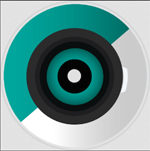 »» Download Tray Player for free! Tray Player ::: a computer program that allows users listen to music and watch movies. Using Tray Player you can listen to music and watch movies in the most popular formats. »» Download Easy File Locker for free! Easy File Locker ::: a computer program that allows users to protect important data. Using Easy File Locker can block access to important files and folders. »» Download Image Renaming for free! Image Renaming ::: a computer program that allows users to manage photos. Using Image Renaming you can change the name of all the photos. »» Download Duplicate File Hunter for free! Duplicate File Hunter ::: a maintenance program that allows users to detect duplicate files. Using Duplicate File Hunter can detect and remove all duplicate files from your computer. »» Download Snap Backup for free! Snap Backup ::: a computer program that allows users to create backups. Using Snap Backup can create backups of all your files and folders. »» Download PhotoTrim for free! PhotoTrim ::: a computer program that allows users to edit digital photos. »» Download Digital Photo Organizer for free! Digital Photo Organizer ::: a computer program that allows users to manage and organize photos. Using Digital Photo Organizer, you can manage, sort and organize from one place, all your digital photos. »» Download EraseTemp for free! EraseTemp ::: a computer program that allows users to clean the hard disk. Using EraseTemp can delete all temporary and unneeded files from your hard drive. »» Download SmartEdit for free! SmartEdit ::: a computer program that allows users to edit text documents. Using SmartEdit you can create and edit different types of text documents. 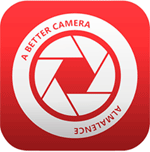 »» Download EasyPhotoImager for free! EasyPhotoImager ::: a computer program that allows users to edit photos. Using EasyPhotoImager you can cut, rotate, resize or convert photos.